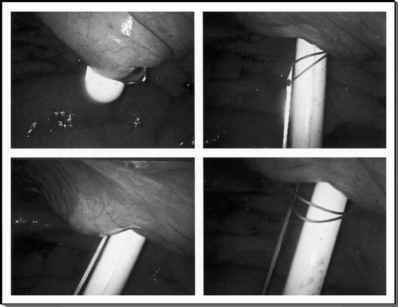 Early in the laparoscopic donor experience, rates of ureteral complications were high. The ureteral complication rate was 10.5% and 10% in the University of Maryland and the Johns Hopkins series, respectively (74,75). These ureteral complication rates were alarmingly higher when compared to that in the contemporary open donor cohorts (9,75) and led to changes in the technique aimed at preservation of ureteral vascularity (74). Technical modifications included (i) en-bloc wide removal of the periureteral tissue along with the ureter; (ii) preservation of the triangle between the junction of the gonadal vein-renal vein and the lower pole of the kidney; and (iii) en-bloc removal of the entire gonadal vein along with the ureter and all periureteric tissue and resulted in lower ureteral complications. At Johns Hopkins, the ureteral complication rate for the first 100 laparoscopic donor nephrectomies was 10%, whereas the complication rate for the next 100 cases dropped to 3% (75). At the University of Maryland, the ureteral complication rate of 14.5% (74) in the initial (76) cases subsequently dropped to less than 3% (10). Overall, the published collective experience of 36 large series reporting on 2206 standard transperitoneal laparoscopic donors shows a ureteral complication rate of 4.5%. These series are now mature enough that one would not expect this number to grow due to late complications. Hand-assisted laparoscopic donor nephrectomy has a low incidence of ureteral complications. In 18 published series of 188 hand-assisted laparoscopic donors, the recipient ureteral complication rate was only 1.1%. However, hand-assisted laparoscopic series are less mature, and late complications might increase the number slightly. Nevertheless, this is still a very low rate that competes favorably with any open nephrectomy series. Usual presentation of ureteral complications in the recipient includes ureteral leak, necrosis, or stricture. Although the majority of ureteral complications are due to technical errors in harvesting or reimplantation, some distal ureteral strictures can be the result of allograft rejection ischemia. Most ureteral complications (88%) occur within the first six postoperative months (10). The decrease in ureteral complications seen in the laparoscopic donor nephrec-tomy series has been attributed to improved technique and preservation of ureteral blood supply in the triangle between the proximal ureter and the lower pole of the kidney. Although definitely not desirable, ureteral injuries are usually reparable and do not have the potential of immediate graft loss.